In stock. Order in the next 9 hours, 20 minutes and it will go out today! 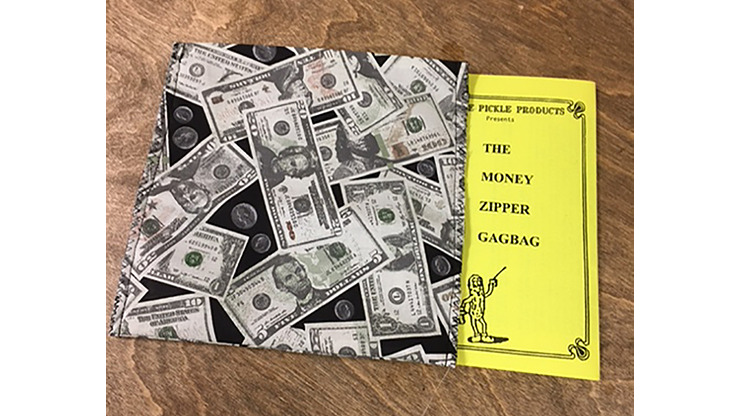 Turn reality on its ear with the Money Zipper Gagbag! Turn this bag inside out and it turns from a money design to black. Turn it inside out again...and it's multicolored?! Repeat twice more and two new designs show up for five changes in all!